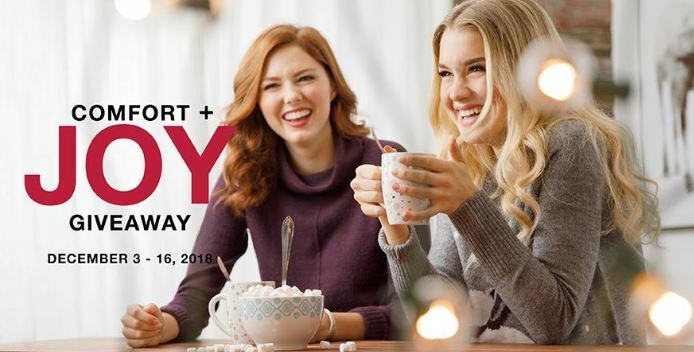 Enter now the Ricki’s COMFORT+JOY Giveaway for your chance to Win a $500 gift card for a friend and a $250 gift card for you. This contest is open only to legal residents of Canada (except the province of Quebec) who are 18 years of age or older. To enter you simply have to visit the official contest web site and complete the online entry form with all the required information including your name, last name, email address, phone number, city, province, the name of someone you want to ‘nominate’ for a prize and your answer to the question “Why are you nominating this person to win some extra holiday magic?”. The contest closes at 11:59 pm PST on December 16, 2018. Winner will be selected by random draw from all valid entries. There is one Grand Prize available to be won, consisting of a $500 and a $250 Ricki's gift cards. The Ricki's COMFORT+JOY Giveaway begins at 12:01 AM EST on December 3, 2018 and ends at 11:59 PM PST on December 16, 2018.